Capsaicin is the ingredient in hot chili peppers that gives it the heat and burn. It is also known to be effective for a variety of pain relief uses. The capsaicin nasal spray version (see below) available over-the-counter, is thought to work for sinus headaches, migraines, cluster headaches, and even severe nasal congestion by desensitizing the trigeminal nerve (which is accessible through the nose) and reduces CGRP (calcitonin gene-related peptide), thus reducing swelling and inflammation. CGRP is thought to potentially play an important role in migraine. Here are some links to research, but this one summarizes the findings thus far. Not the small number of patients. Based only on such anecdotal reports, it helps in about 60% of patients suffering from severe migraines. It is to be used similarly to the triptan class of migraine drugs in that it should be used as soon as one feels a migraine coming on. And just like the abortive triptans medications, it either works or it doesn't, though it is suggested to try at least two separate times before giving up on it. All these nasal sprays can be purchased on Amazon and include Xlear Max, Sinus Buster, and Sinus Plumber among others. If the migraine starts on both sides of the head, spray 1-2 sprays into both nostrils. If the migraine starts only on one side, than use the spray only one the same nostril side. Sniff GENTLY in order to get the nasal spray to disperse throughout the nasal cavity. If you sniff too strongly, it will go into the throat and potentially cause gagging and coughing on top of the burning. You WILL experience an intense burning and stinging sensation in the nose for about 15 minutes and should completely disappear in about 30 minutes... along with the headache (or congestion if that is what you are feeling). The headache relief typically occurs within a few minutes. BE AWARE, that this nasal spray seems to work only in about 60% of patients. The other 40% of patients will find either no relief or temporary relief or in some cases, even WORSE migraines. 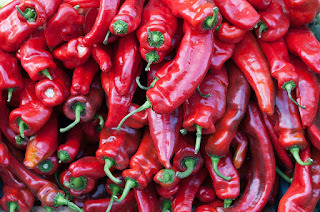 Although capsaicin nasal spray may not be the silver bullet, it is something to consider trying especially if one is trying to minimize or avoid prescription migraine medications. Other non-drug interventions that patients have found helpful for migraines include butterbur, magnesium oxide, and vitamin B2 supplementation. These supplements are to be taken DAILY to help prevent migraines from happening in the first place. Intranasal medications for the treatment of migraine and cluster headache. CNS Drugs. 2004;18(10):671-85.